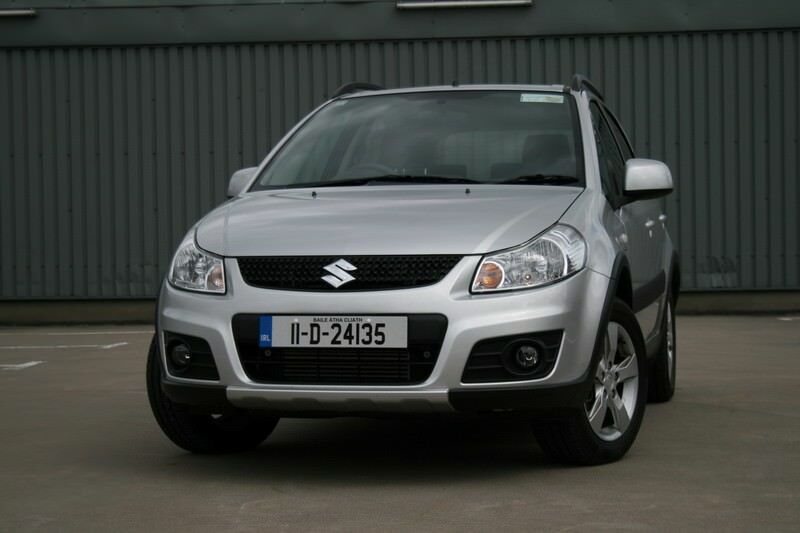 Suzuki's specialisms of small car and four-wheel drive mix well with the curious SX4. Suzuki's specialisms of small car and four-wheel drive mix well with the curious SX4. A countrified hatchback, with raised suspension, chunky additional body protection and, on some models, four-wheel drive, the SX4 is a fairly unique proposition. It's not full family hatchback sized though, its dimensions fitting somewhere between larger contemporary superminis and conventional family hatchbacks. Sales started in 2006, running right up to 2014, where Suzuki when Suzuki replaced it with the SX4 S-Cross, which this time mixes SUV cues with compact MPV practicality to deliver a Nissan Qashqai alternative. Given its relatively unique brief there are a good number of used Suzuki SX4s out there to choose from. Not all are four-wheel drive, many making do with just front-wheel drive - though if you don't live up a farm track that's no disaster. The raised ride height and those chunky bumpers and body protection is just as - if not more -useful around town for avoiding parking knocks and the likes. The engine line-up consists of 1.5- and 1.6-litre petrol units and a pair of diesels of 1.6 and 2.0-litre capacity. The diesels are more commonly mated to a four-wheel drive system, the petrol engines more usually front-wheel drive. Be sure to check exactly what you're getting via the car's documentation, as on a test drive there's little obvious means of ascertaining which is which. The SX4 was a collaborative car with Fiat, the Italian firm offering a version itself, called the Sedici, though they're far rarer than the Suzuki. Despite its relatively compact dimensions the SX4 is comfortable enough for four adults, though it's not got the largest luggage area - so pack lightly. Not all are hatchbacks either, Suzuki Ireland offering saloon models, which do without the hatchback's SUV-like body protection. The dashboard and instruments aren't the last word in style in any, but it's all very functional and certain to be reliable. Being relatively unknown in the used marketplace the SX4 looks like good value too, especially if you want one of those four-wheel drive models. They will get places most SUVs will, without the associated running costs. The 1.6-litre diesel should be adequate for most, but the 2.0-litre diesel mated to four-wheel drive is the best all-round choice and comes the best equipped, too. Running costs should be good, while performance will be acceptable even if the car's fully occupied. A car bought with purpose, the SX4 is relatively unique in offering conventional car-like driving dynamics and looks with the added security and traction of four-wheel drive. That does make the front-wheel drive models seem superfluous, and they're bettered by more conventional rivals to own and drive. If you need a 4x4 hatchback then the SX4 is it, if you don't then look elsewhere.